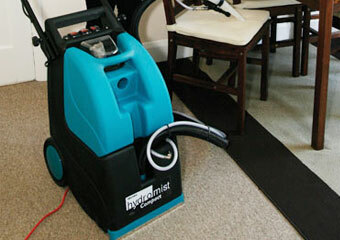 Carpet extractors are common tools in the cleaning profession. Yet the innovative features within one product range will achieve significant savings for customers, believes commercial and industrial equipment specialist Alphaclean. Announced this year as sole Australian distributor of the world-renowned Truvox International range, Alphaclean is showcasing the highly-acclaimed collection of Hydromist carpet cleaners at the AusClean expo. 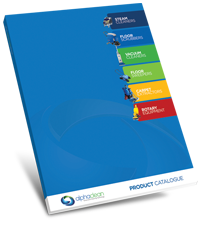 This extensive series of machines – including box wand, compact all-in-one and large all-in-one extractors – can tackle even the toughest stains on upholstery and carpeted areas. And the outstanding value of this equipment in comparison to competing products means the technology is affordable, whatever the customer’s size. Alphaclean’s Manager explains: “Truvox have incorporated the same professional technology into each of the Hydromist products, ensuring that virtually all client specifications and budget requirements can be met. As Alphaclean looks forward to continued expansion over the next three years, the Truvox range of Hydromist carpet extractors is sure to be among the company’s best-selling products. “At Alphaclean we are committed to delivering safe, sustainable and cost-effective floorcare solutions for customers within the health care, aged care, hospitality, retail, manufacturing and facilities management sectors, to name just a few.